This is selection of blogs talking about Barcelona and Travel/Tourism that we consider really interesting for who is planning a visit to Barcelona or who like travelling and travel blogs in general. We hope you'll find useful. If you know some other resource and want to share with us, please feel free to send it using our contact form. 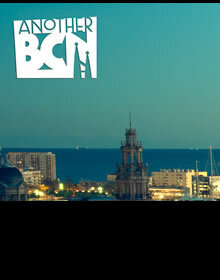 Mer (Mercedes) is the owner of anotherbcn.com, a blog aims to be a small guide of Barcelona from her point of view. Experiences, unusual places, activities, restaurants, parks, walks, stories, etc. Addressed to foreign people as well as to the inhabitants of Barcelona, and encouraging everyone to take part of it. 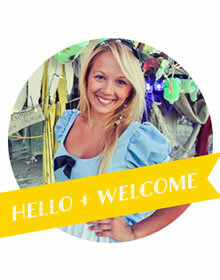 Alexandra is a New York native who left her home to explore the world slowly and thoroughly. Just a little obsessed with photography, scuba diving, and reading guidebooks to countries. A fresh blog with an interesting guide (or maybe obsessions list?) to photography, luggage and other travel resources. 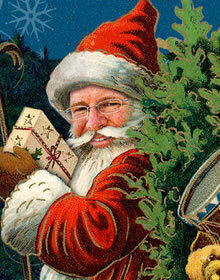 Guidebook author and travel TV host Rick Steves is America's most respected authority on European travel. Rick took his first trip to Europe in 1969, visiting piano factories with his father, a piano importer. As an 18-year-old, Rick began traveling on his own, funding his trips by teaching piano lessons. In 1976, he started his business, Rick Steves' Europe, which has grown from a one-man operation to a company with a staff of 80 full-time, well-travelled employees at his headquarters in Washington state. There he produces more than 50 guidebooks on European travel, America's most popular travel series on public television, a weekly hour-long national public radio show, a weekly syndicated column, and free travel information available through his travel center and website. Rick Steves' Europe also runs a successful European tour program. Rick Steves lives and works in his hometown of Edmonds, Washington. His office window overlooks his old junior high school. ....My name is Mark and I’m a keen traveller. In fact, over the last 25 years, I’ve travelled to every continent and over 80 countries. 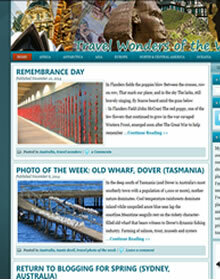 This blog is about the most memorable destinations – the places I regard as the travel wonders of the world. I’m also a keen photographer, and have taken nearly all the photos you’ll see. During my travels, I’ve met some incredible people, seen inspiring places, viewed extraordinary wildlife and scenery and had some amazing experiences, and I’m writing these stories not only to entertain but primarily to inspire others to discover their own travel wonders. Marta Rubio is the soul of HolaBarcelona.nl. She was born in Barcelona and, starting from 2008 she is living in the Netherlands. 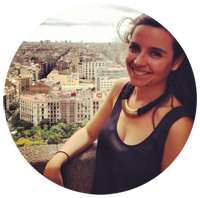 She drives a very useful blog about our beautiful city, with a lot of tips and suggestions to spend an unforgettable stay in Barcelona. Here you will find not only the well-known sights, but also the places that are known only by the locals. Great job Marta, we love it! 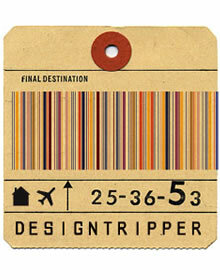 Designtripper explores the intersection of travel and design with genuine curiosity and good taste. They put authenticity, character, and thoughtful design before hi-definition plasma TVs, iPod docking stations and in-room jacuzzis. 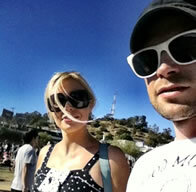 GlobalGrasshopper is a global magazine and resource for independent travellers run by the UK-based duo Becky and Gray. We’re also joined by a team of self-confessed travel snobs and together we’re on a mission to discover the world’s most underrated and beautiful places. We feature photography, guides and travel inspiration with a slightly off-beat outlook. 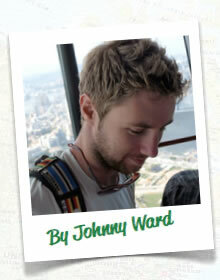 Johnny Ward, Generation Y, Irish guy who just knew that there was more to life than a 40+ hour work week, a bland social calendar and a 2 week break in the sun each year. ....Enjoying mediterranean living and blogging about Barcelona. 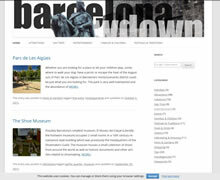 Hosted by Richard, Barcelona Lowdown is a mix between a personal blog and a city guide, with some interesting and personal points of view about Barcelona.